Are You A Builder or a Decorator? - The AIM Institute Are You A Builder or a Decorator? 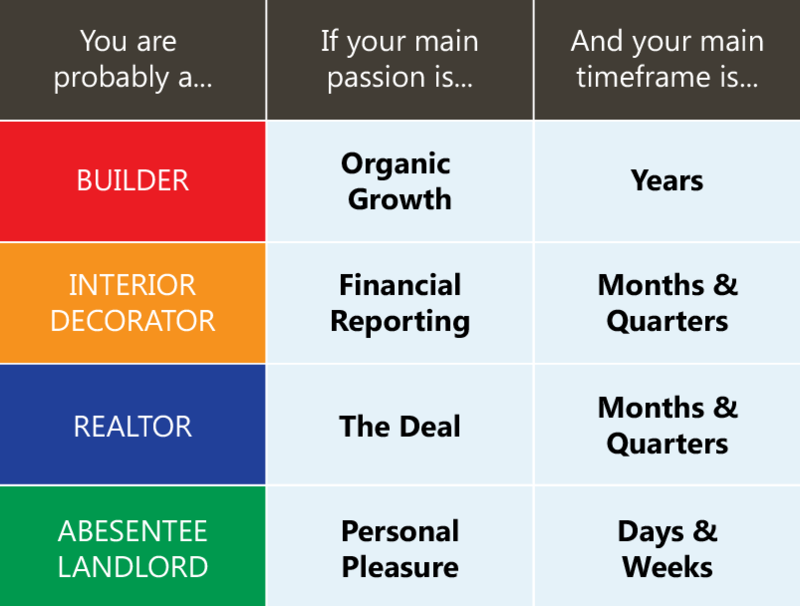 The AIM Institute > Insights > Blog > Organic Growth > Are You A Builder or a Decorator? Are You A Builder or a Decorator? One of the best compliments I ever heard given a business leader was, “He’s a builder.” If you run a business, you have many roles. But peel them all back and look to the core that deﬁnes you, the purpose that drives you, and you’re either a builder… or you’re not. If you see a business that has steadily grown over the years in size, proﬁtability and stature… look for the builder. If you see a business whose products have surpassed competitors’ products… look for the builder. If you see a business that grinds through the hard work of delivering real customer value–brushing aside fads, downturns and criticisms–look for the builder. Still other business executives are realtors. Their hearts are in buying and selling; they reap reward when the work of others’ hands changes hands. To be fair, sometimes their industry is ripe for consolidation, or the deal is part of a solid growth plan. But often the leader never learned the “building” trade on the way up, or is too impatient to construct something of lasting value. Are you hanging drapes or keeping a building site neat and orderly? There are other roles. One is the absentee landlord; he maintains his property but his interests reside in a much nicer neighborhood. You can probably think of some executives who apply themselves at work, but their hearts are at the country club. Does this mean you’re not a builder if you’ve executed acquisitions, work at presenting a good company image, or enjoy golf? Absolutely not. You can do all of these things and be a builder. Builders distinguish themselves not by individual events, but by their relentless pursuit of a goal. 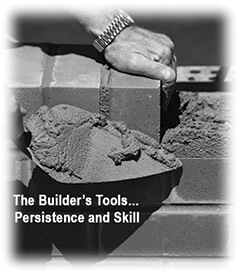 As I study builders, I see they have a clear picture of what they wish to create and employ two tools to accomplish their vision: Persistence and Skill. What separates the construction of a glorious cathedral from a rough shed? The cathedral-builder knows he’ll need unswerving persistence to ﬁnish his masterpiece. He has counted the cost in years and is willing to pay it to create something of enduring value. Other projects may require attention, but the builder is not deterred from creating his cathedral. The shedmaker moves from project to project, living for today, caring little about his legacy. When I see a business leader chasing the quick ﬁx or current fad, I’m not looking at a builder. Once the cathedral-builder has committed persistence to his project, he commits skill. He recruits and apprentices the ﬁnest stone masons and wood carvers he can ﬁnd. Because these craftsmen know the passion of the builder, they work with pride, secure in the knowledge they have employment until the cathedral is ﬁnished. The shedmaker can hire unskilled laborers from the local beer hall, whose goals match his… ﬁnish the job and collect their pay. When I see a leader unwilling to attract talent and invest in building skills, I’m not looking at a builder. Which End of the Machine Do You Work On? For me, the ultimate test of a builder is to watch which end of the machine he is working on. Let me explain. One of my ﬁrst jobs as a freshly-minted chemical engineer was as night shift foreman. The process began with petrochemicals and ended with a perpetual strip of rubber coming from an extruder. My job was to test the rubber; if anything was wrong I immediately began checking what was going into the machine’s feed hopper. Twenty-ﬁve years later, as I sat through my umpteenth ﬁnancial business review, it dawned on me: We’re all standing around the extruder die where the product comes out. We don’t like what the machine is producing, so we’re exhorting it to do better and fussing with the outlet die a bit. But nobody’s checking the feed hopper! Of course, it looked like we were having an intelligent meeting. We talked about our gross margins, price increases and growth rates. But these were predetermined years earlier, largely by our new products. If we had fed well-planned, high-value new product projects into the hopper, the meeting would be completely different than if we had fed ill-conceived or undifferentiated projects. By the time of our meeting, we could talk about what came out… but we couldn’t change it all that much. The builder knows this and spends most of his time at the feed hopper. 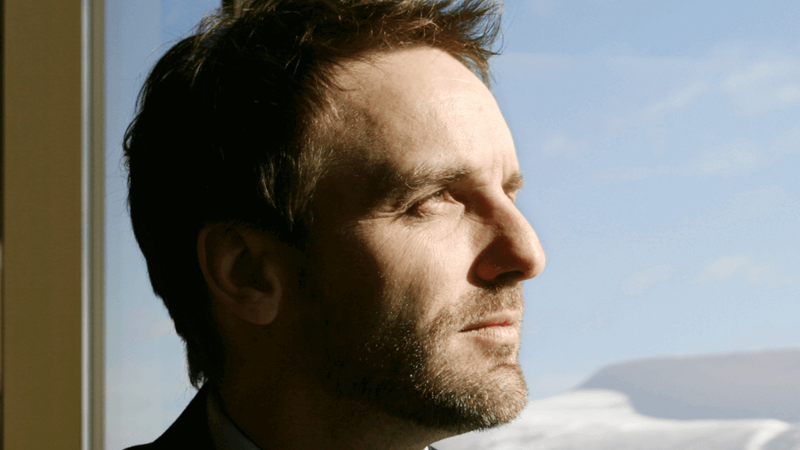 He feeds in technology that will be used to create exciting new products. He feeds in an organization that is motivated and rewarded to build for the future. He feeds in the capabilities and training needed to uncover customers’ most important unmet needs. Sure, he still spends some time at the extruder die examining the output. But his heart is at the feed hopper because then he knows what will come out the other end. If you’re not a builder, it’s not too late to start. Begin by surveying potential building sites. These are market segments–clusters of like-minded customers–for whom you’ll create exciting new products. Don’t pick sites overbuilt with entrenched competitors. And remember “location, location, location,” as you target segments with favorable trends and good ﬁt with your capabilities. Dig the foundation deep by interviewing customers to understand their unspoken and unimagined needs. Every project need not be the tallest cathedral, but with the right building sites, skilled workers and enough time, you’ll become known as a great builder. Some advice: Don’t spend too much time looking for “builder” qualiﬁcations in others. Instead, look where you can make the most difference… yourself. Start with an audit of where you are investing your time… at the feed hopper or the die. Then plan your building projects, count the cost, and pick up your tools. At The AIM Institute, we’re passionate about helping industrial leaders build their businesses. Visit our resources for more information and free resources. When you’re ready, we’ll meet you at the feed hopper for a free consultation.